Its been a long, bumpy road these past five years with its ups and downs. This year has also seen me becoming much busier than in previous years. Its a good / bad thing to be more successful. Good because my business is growing, bad because I have been working over a year straight with very little downtime and I don’t see it stopping any time soon. I’m very grateful for all the amazing things I’ve gotten to do and all the fun things I’ll be doing the rest of this year. 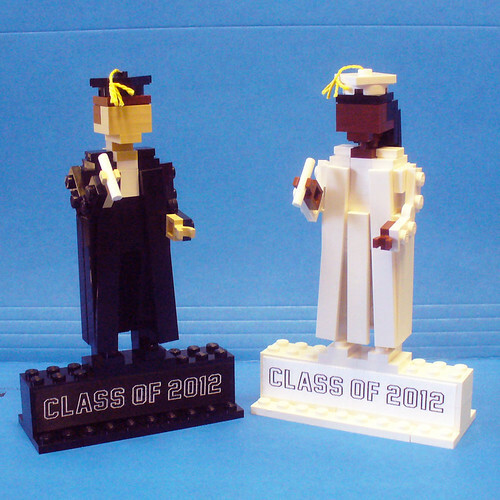 And of course, if you would like your very own LEGO Graduate, you can find them for purchase on my Etsy shop. 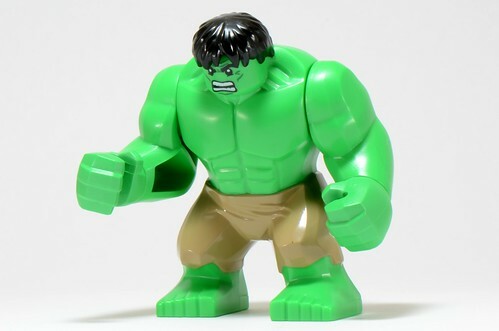 I’ve seen a lot of Angry Birds based models and that is to be expected considering the popularity of the game. 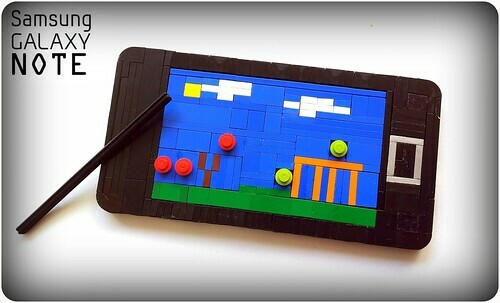 But this caught my eye for the deceptively simple model of a Galaxy Note with Angry Birds on the screen. Schneider Cheung always comes up with beautifully touching models for the holidays and his most recent is no exception. 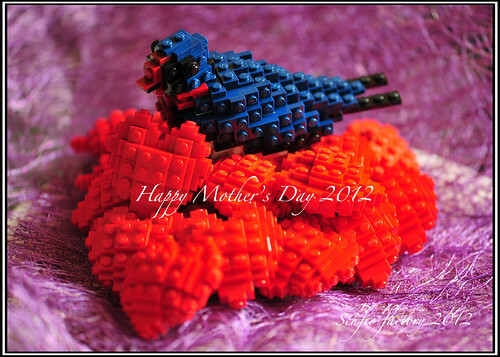 The sweet simplicity of both the heart models and the bird are awesome! Hi all! I’m back after a very long absence! I’m sorry I’ve been so lax with writing, but right after I got back from my trip from Florida I had a huge model (two 2 ft long models) and very little time to do it (6 days). So I didn’t do anything including sleep the last week. There will be a future post on it, just not quite yet. So as you can tell none of this has anything to do with my post title. While here is what STUDS is all about. Fellow LUGOLA member Brandon Griffith has cooked up a very cool idea — STUDS trading cards. I can’t seem to upload the video, but if you click on the picture it will take you directly to the Kickstarter site and you can watch it there — which I highly recommend. 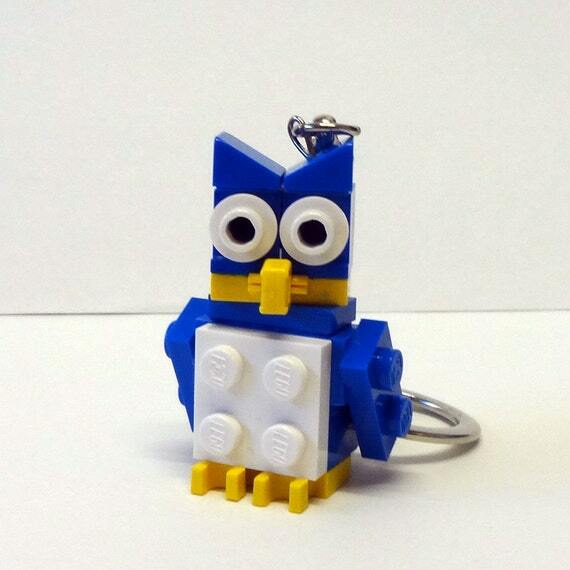 The adult Lego building community is a vital, diverse and interesting world. An alliance of creative individuals, each with their own unique building style, artistic focus and distinct personality. 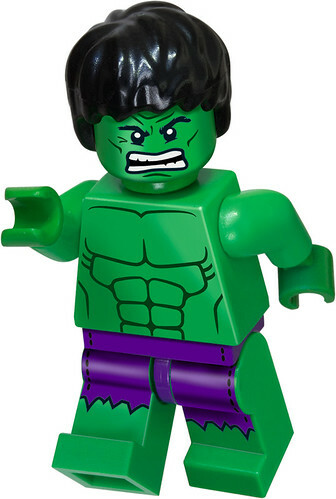 You’ve all seen incredible Lego models in the news and on the Internet – now learn the names and faces of the people responsible for creating the work. 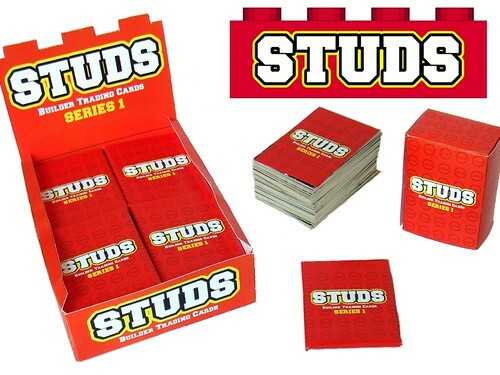 STUDS is a trading card set that profiles the men and women who use Lego to build incredible, original sculptures and brings you an close-up view of this fascinating world. Each card has the image of an amazing Lego creation on the front of the card and info about the work and the artist on the back. It sounds like a great idea and I’m all for it!